Thai Room is a newly opened restaurant located of Sukhumvit Soi 22, near the Phrom Phong area of Bangkok. 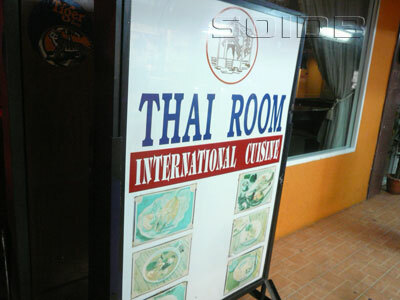 Why Thai Room is special ? If you are not a big fan of spicy, don't be shamed to tell that to the owner. There are vegetarian menu for you to choose. "Great food, good price" Decided to eat here after reading the good reviews on TA and because it was on the next Soi, so not too far to walk. 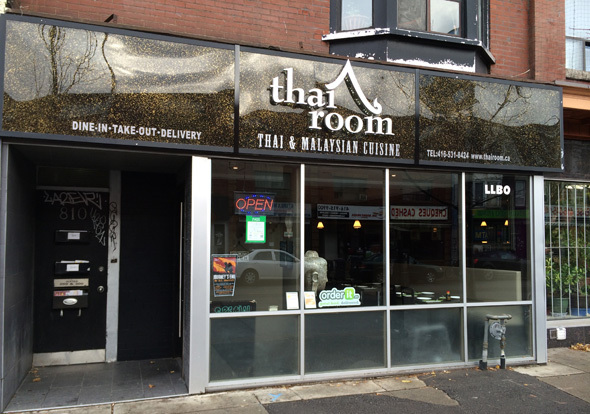 There are a lot of overpriced bars and restaurants on this Soi, but not at Thai Room. For 1150 baht we had a shared starter (fish cakes), 2 x rice, green curry (which was great), red curry, and an omelette. We shared a desert of sticky rice and mango. For drinks I had a large Chang and my girlfriend had a juice and water. I think this was a very fair price. The food was very nice too. My only criticisms are; I asked for Heineken but got a Chang instead. I didn't give them an opportunity to correct the mistake as I wasn't bothered (beer is beer). They also served the fish cakes (our starter) after the main, which is a bit odd. Minor issues really, because the service overall was very good. We will be eating here again.